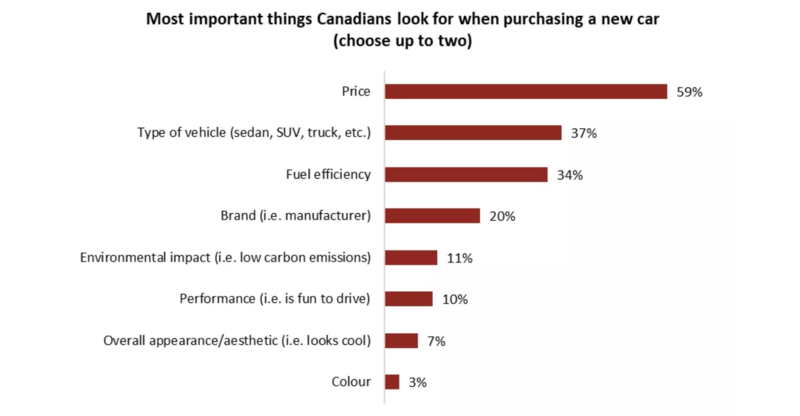 A recent report from the Angus Reid Institute (ARI) — a Vancouver-based not-for-profit public opinion research foundation — outlines what Canadians look for when buying a new car, and how interested they are in electric vehicles and hybrids. The institute conducted an online survey from August 14th, 2018 to August 17th, 2018 of 1,500 random Canadian adults who are members of the ARI. Are Canadians exposed to electric vehicles? The report revealed that even though the Canadian electric vehicle market grew by 114 percent in first-quarter sales compared to last year, only 21 percent of Canadians have driven an electric vehicle. 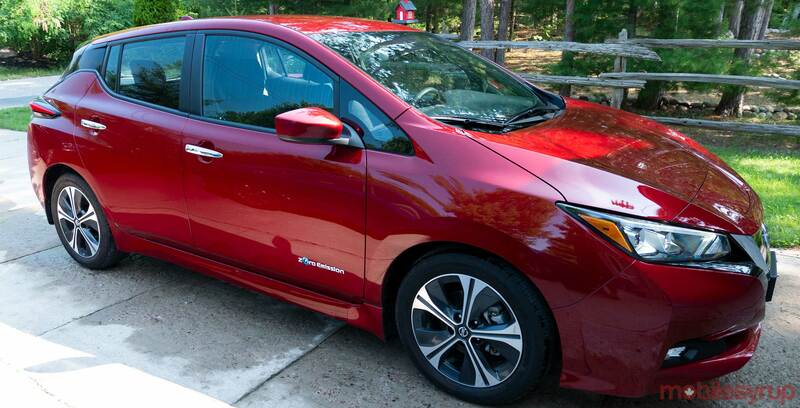 To further reinforce that point, 91 percent of survey participants said that they’ve never owned an EV. According to the report, only three percent of people in Canada own an electric vehicle, another five percent have a hybrid, and one percent owned one in the past. British Columbia, Ontario, and Quebec have the most residents that have driven a battery-powered vehicle. These provinces all offer, or have offered, notable buying incentives, according to the report. Subsidies and incentives seem to be critical to opening the door to the electric vehicle market in Canada. According to the ARI’s report, 59 percent of Canadians believe that price is one of the most important factors that people consider when purchasing a new car. Only 11 percent of participants valued environmental impact as one of the most important aspects when buying a new car. EV charging is another aspect that’s holding back some Canadians from buying an electric vehicle. Six-in-10 (62 percent) of those surveyed claimed they would be more likely to buy an EV if there were more charging stations around. Forty-eight percent are also dissatisfied with the amount of time it takes to fully charge an EV. Charging infrastructure is defiantly lagging behind gas stations, but it is getting better, and Canadians are finding ways to live with the current framework. One stat that doesn’t affect everyday drivers, but is crucial for some people, is how fun EVs and hybrids are to drive compared to gasoline cars. According to the report, 50 percent of drivers that either own, or have owned, an EV or a hybrid in the past said EVs aren’t as fun to drive as traditional gas vehicles. Things are still looking up for clean energy vehicles. Most Canadians would at least consider an EV or hybrid when they buy their next car, but more are willing to give hybrids a chance compared to a plug-in EVs like a Teslas or the Nissan Leaf. When asked “would you buy a hybrid if you had to buy a new car,” 42 percent of the 1,500 Canadians said they would definitely or probably consider one. When asked the same question about plug-in EVS, only 32 percent said they would heavily consider it.